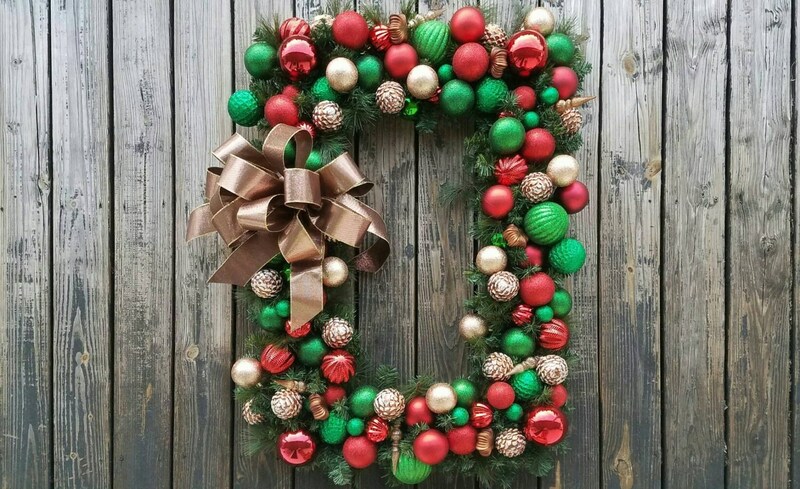 This wreath has matching 6 foot by 8 inch garland. It can be found by following the link below. 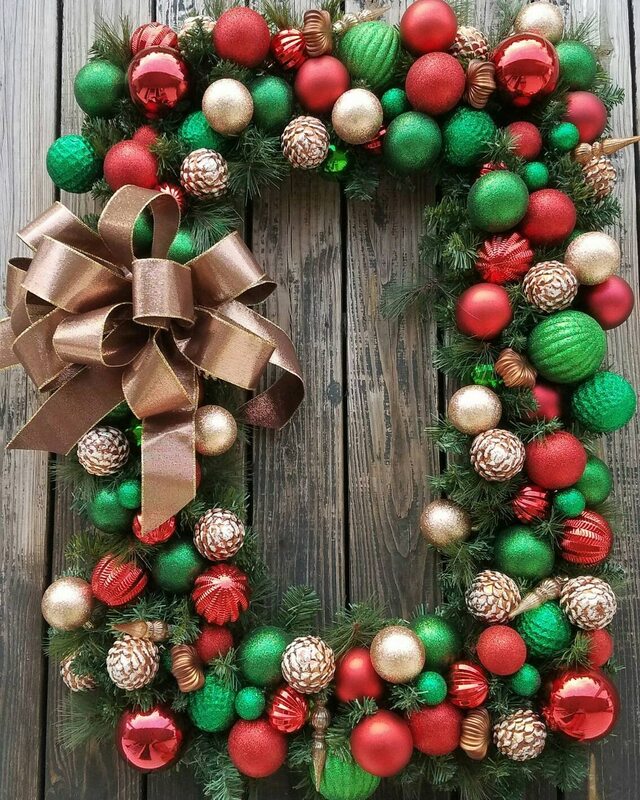 Measuring a whopping 34 inches by 44 inches, the sheer size of this wreath makes a gorgeous statement. We created a custom, metal frame then added standard pine to the frame as a base. 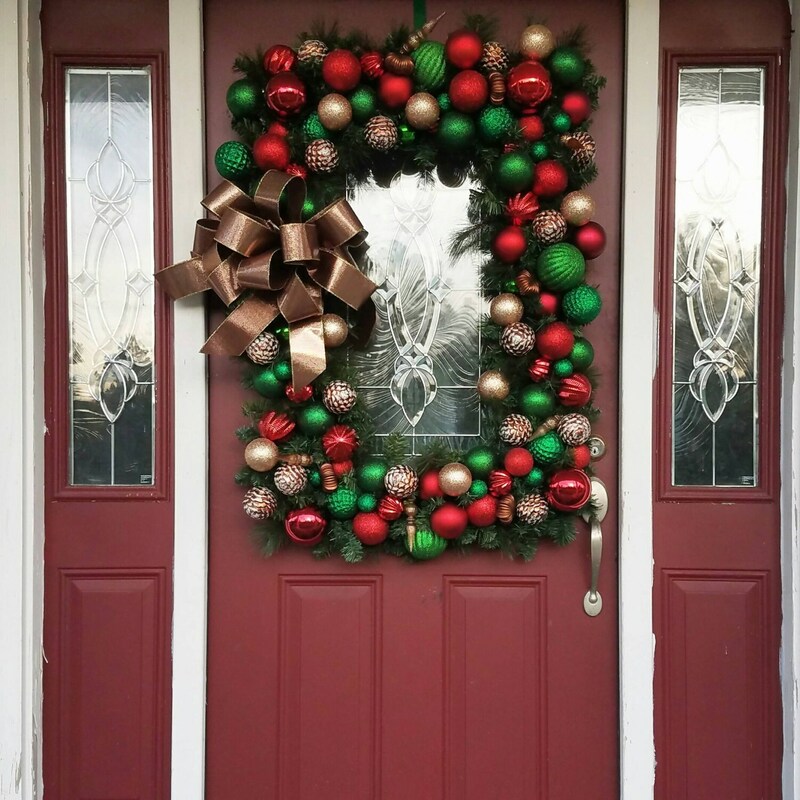 Shatterproof ornaments in shades or red, green, and bronze were added to the wreath base. 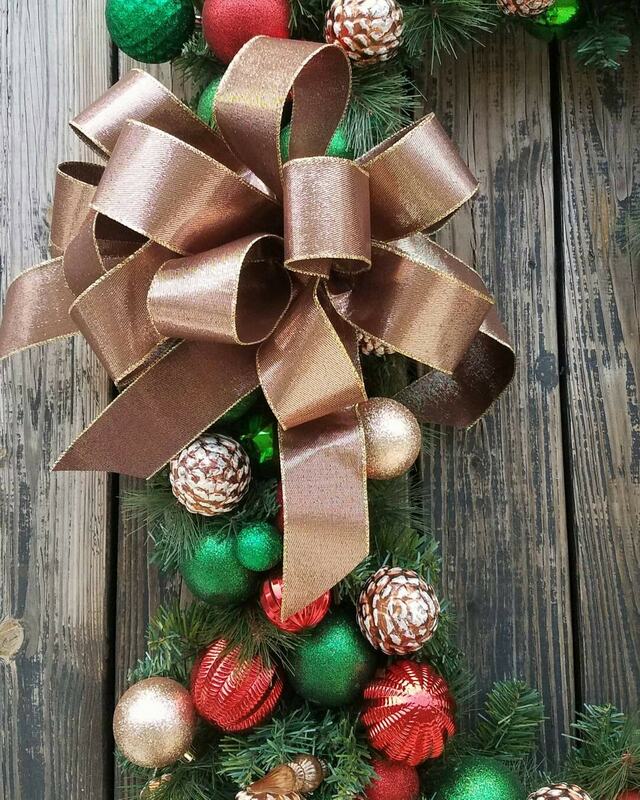 The finished wreath is stunning and would he gorgeous on a front door or over a large fireplace. Message me for custom options. Want something smaller or a different size? 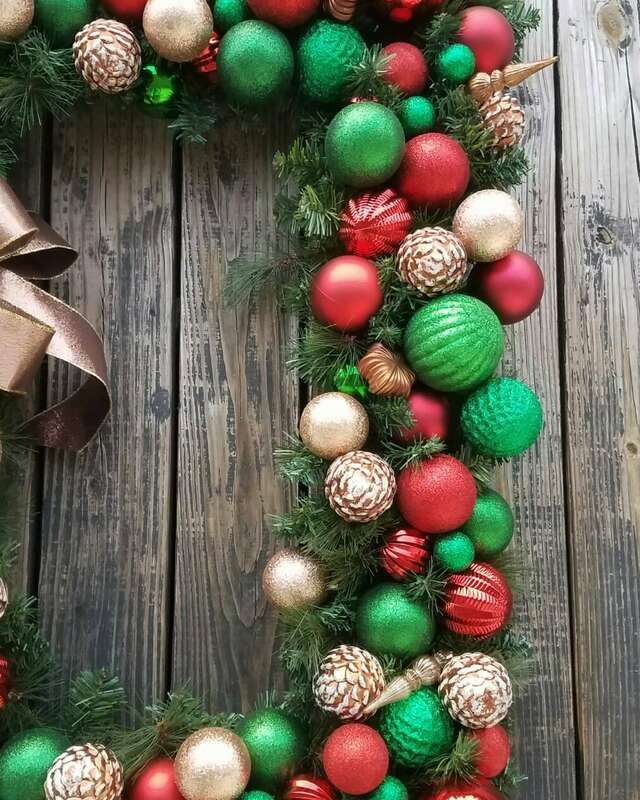 Maybe you would like the ornaments to be different colors? Size, color, and shape are customizable. Send me a convo for a quote.